Bali, Indonesia's Most Favorite Destinations. 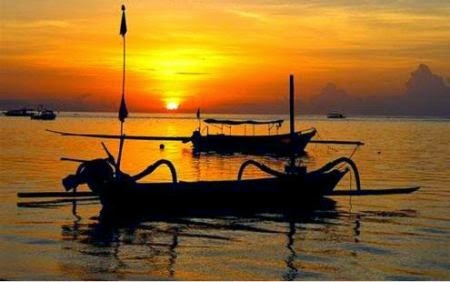 Bali had been known by international people as the favorited-tourism destination that has a lot of enchantment. Various facilities and holiday activities are available in this paradise island. Kuta beach offers us the fabulous sunset. Some the tourists enjoy the Kuta beach’s wave to surf. Many world tourists had come to be close to the wave in Kuta beach. The wide coastline, bars, clubs, singing places, souvenirs, and many more of public facilities that have been available here. In addition, the row of the beaches in Uluwatu also offers the high wave that is suitable for the surfers. Some cafes stand on the edge of the hill and show the really charming seashore scenery. Not far from Uluwatu, there is a romantic dinner place which is directly located in the seaside, Jimbaran. Just choose the restaurant you want to, and enjoy the dinner with the soothing ocean wave’s sounds. If you have a passion in photography, Bali island is the paradise. There is a very photogenic Tanah Lot. After that, there is also Garuda Wisnu Kencana, an incomplete construction landmark yet, but it is already so famous and never deserted from the visitors. Ubud with its worldwide rice fields offers us a green and calm view. In addition, the calm atmosphere becomes a gathering place for the travelers who are looking for the calmness from their surroundings or inside themselves.